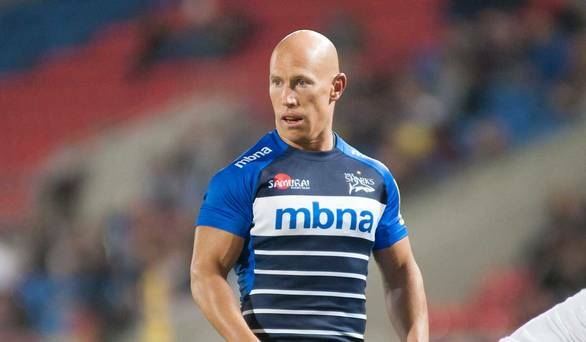 Former Munster and Ireland scrum-half Peter Stringer could miss up to three months of Sale’s Aviva Premiership campaign after tearing his biceps tendon. The 38-year-old half-back suffered the blow in Sale’s 34-34 Premiership draw at Worcester on Saturday. “He snapped his biceps tendon on Saturday so he’s going to be out for two to three months,” Sale rugby director Steve Diamond told BBC Sport. Stringer made 24 appearances for Sale last term after making the switch from Bath and was named their player of the year.